Description Blenheim railway station. 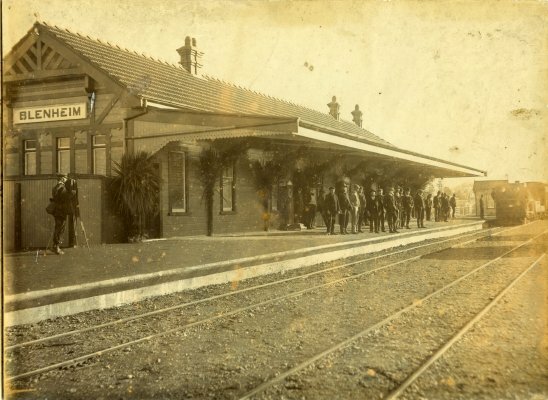 A crowd of men are waiting on the platform to greet a train. There is a photographer also on the platform with his camera set up. The platform is decorated with greenery.